What are some fundamentals of security every developer should understand? Trust no one. Especially yourself. The only perfectly secure system is one that's been disconnected, powered off, encased in concrete, and dropped into the ocean from a helicopter flown blindfolded. Any functionality you can use is functionality someone else with ulterior motives can use. Data you can access through your system is data someone else can access through your system. Backdoors are an inherent security risk. Assume user input is malicious until proven otherwise. If you're good enough to roll your own crypto, you already have a job working specifically on crypto. If you only need to test whether input matches something you've stored (like passwords), hash, don't encrypt. Bind prepared statements, don't interpolate parameters into queries. If you have a publicly-visible API backing your site, remember that your site isn't the only thing that can hit it. Think about and test edge cases. You can take off without the blindfold but you have to put it on once you're over the water. Did I mention validating input data? The biggest security mindset shift for me was understanding that input is not something a user enters in a form element. Input is literally everything that comes to your server (since everything can be tampered with), so treat it as such! That async request you yourself wrote so you think you can trust it? 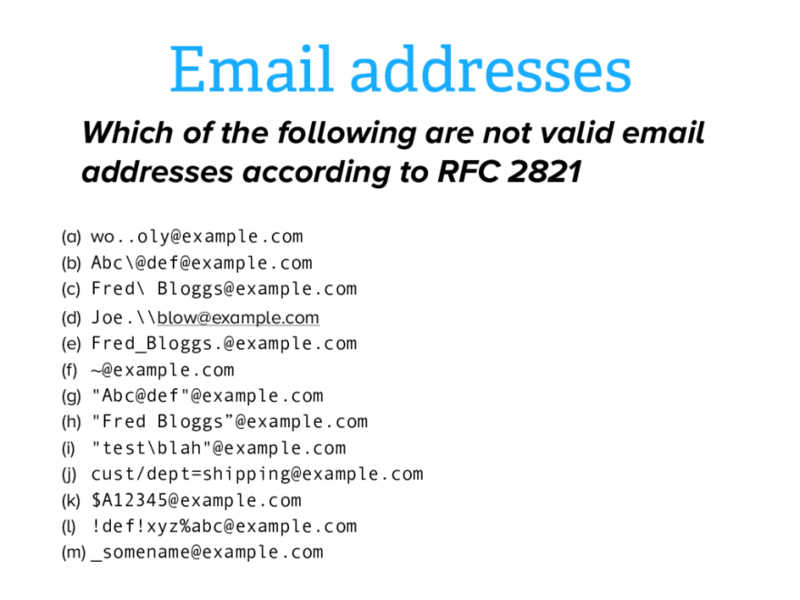 Validate that payload same as you would a text field. A big part of my role as Chief Defender Against the Dark Arts at 1Password is helping our very talented development team to build secure code. I have the good fortune of working with people who are highly motivated to do things securely, but they have not necessarily been specifically trained how to. Here are a few broad and narrow lessons in no particular order off of the top of my head. Developers need (to be pointed to) the right tools to do things right. It is not enough to say "don't do X, do Y instead" if you don't give them the tools to do Y. So when some security expert tells you not to do X, ask them for the tools to do better. Instead of addressing specific attacks (as they come up or we can imagine them), it is better to build things in ways to preclude whole categories of attack. Ad-hoc regular expressions are rarely the right way to validate input (and all input may be hostile). 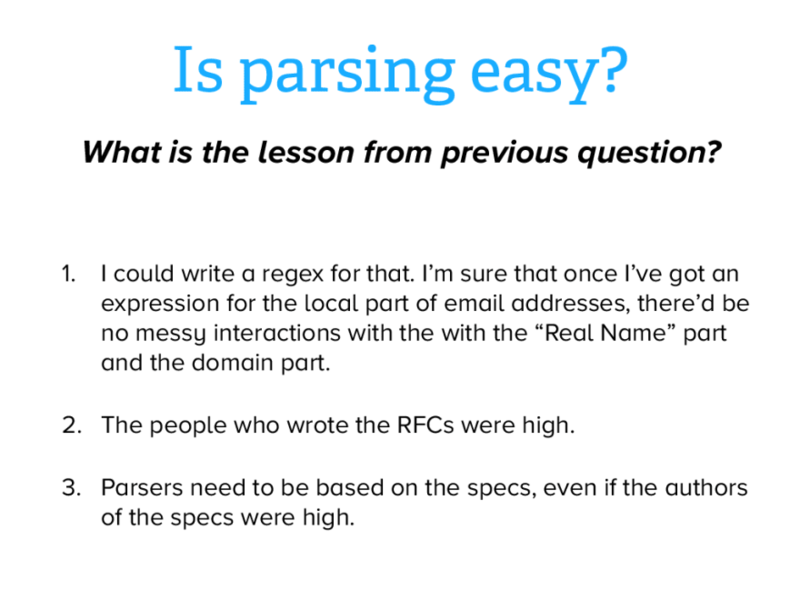 But (see point 1), we need tools to build safe parsers for input. Expanding on the previous point: That stuff that you learned and promptly forgot in your Formal Language Theory or Automata Theory class turns out to be really important for securely handling potentially hostile input. Have as few user secrets as possible. (This is an example of 2). And users should have as much control as possible over determining what is "secret". 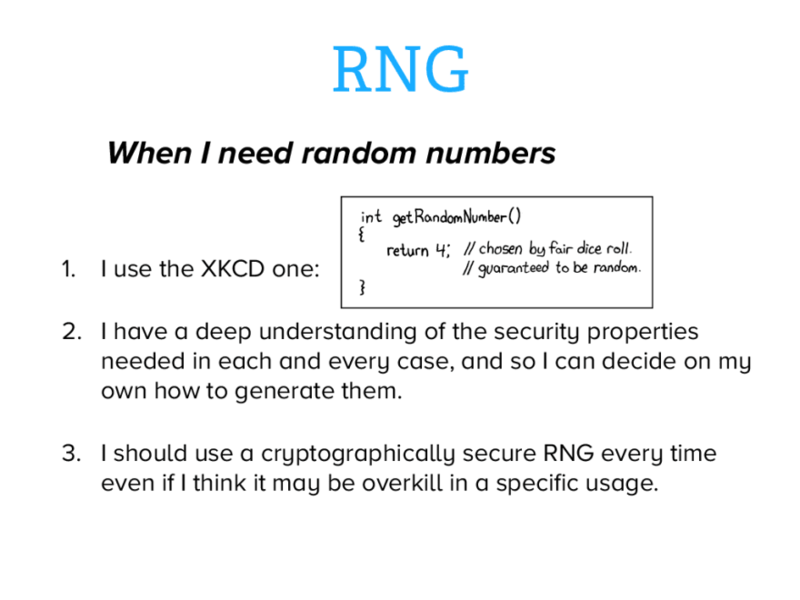 Using good cryptographic libraries is essential, but they are very very easy to use incorrectly. Have someone who knows about cryptography to review your use. You may have to pay them. 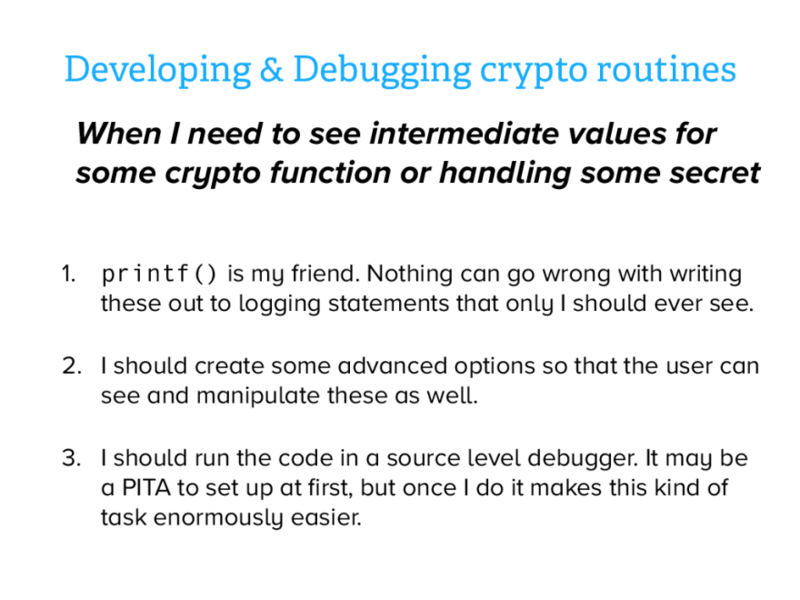 Use debuggers, not printf, to study intermediate values. This prevents accidentally logging things that shouldn't be logged. Heed IDE/compiler warnings. Run static and run-time analytics. Remember, many memory addressing errors can be turned into exploits. The less data you store, the fewer security hazards you expose yourself to, and the safer your participants will be. Don't hoard data on the theory that it'll become useful - only save what you need, and question yourself every time you get into a situation where you think you need it. If you must store data, especially sensitive data, don't ever store it in plain-text! Look into hashing algorithms like bcrypt. Always give your participants the option to delete their data, and actually delete it when they ask you to. In Europe we must comply to GDPR which is coming into practise in the next few months. We’ve had to implement what you mentioned on every single system which holds more than one piece of identifying information about a user. What did you do, just hash or encrypt everything? We are facing the same right now. I agree. The idea of soft-deletes irks me. My personal data isn't a line in a log file which one would wanna keep for as long as possible. I created an account, said my name is Rexford. Now I'm leaving, and say, delete that data, and then soft-deletes it? It's so crazy of an approach not sure why it still exists. Security is hard. It's worthwhile to read about various attacks to understand the magnitude of ways in which stuff is attacked. Your system will be breached. Mitigation strategy is as important as the "wall". A system is never "secure", you can only balance security goals with current risks and available resources. Privacy is inseparable from security. Even if you're irresponsible and don't care about your users, the attackers will. Security becomes harder as the data becomes more valuable. Most systems are really only secure because nobody really wants the data they store. As a company becomes successful, the attackers will come. Security is a moving target. You are are never done implementing security. User security is as important as corporate security. Being open about security is the only way to know it's correct. There is no security through obscurity. Everybody is responsible for security. Every person and every machine is a potential attack vector. Do you have any books or suggested reads on various attacks? I follow these two guys on Twitter: (@Scott_Helme)[twitter.com/Scott_Helme] and @troyhunt. They're a source of lots of security articles, research, breaches, etc. I try to keep up on recent events, and do a deep dive in the web whenever a concept/term comes up that I don't know. API Keys are just as sensitive as a username and password combination! Don't expose them in publicly accessible repositories or source code. Do configure them as server environment variables in a contained environment. I'd add: never even commit a credential (password/API key/etc) to your repo. I'd argue this applies to any repo, not just open source ones, since you never know what might happen to the repo in the future. Even if you remove the credential in a future commit, it still exists in the history. Just FYI if anyone has hit this issue before: ‘Bfg repo cleaner’ can clean the repository of any traces of files, however if you’re working on a team project the key can spread like a virus as it will ‘infect’ branches stemmed off of master in the future (if this passed code review of course). I had to deal with a situation similar to this as someone had committed a global config file containing passwords which was only meant for development. Fun times. Of course the solution for deeming an API key pair useless is just to regenerate the key, however passwords are a different story if you don’t want a history of previous passwords being revealed. GitHub is pretty good with that, if they detect that one of their keys was committed and pushed to GitHub they'll let you know and disable the key. The OWASP top ten security vulnerability documents are a great place to start: OWASP. Typically, the top web app security vulnerabilities are SQL injection, XSS and authentication issues. The top web frameworks will address those issues in their documentation so that is another place to begin researching. Don't roll your own crypto in production. 4- Your application must login to the database with the minimum rights as possible. 9- Be aware about the data you are dealing. Something about not exposing passwords by passing form info as url variables because people can then see your password. Do not trust the user. Social engineering might pawn anyone, not just the non-techies. Salting is the bare minimum when it comes to storing passwords. Make your system fail hard, but do not expose critical details when you do so. As a full stack web developer, I've recently taken a detour into learning about web security and penetration testing. I decided to take what I've learned over the past few months and put together a list of "Minimum Viable Security" recommendations for anyone building web apps. The very very very first step is to ensure security is even a priority by management and whoever leads the team - and each developer. Nothing else matters if there's no culture around these issues. It needs to be one of the first clear goals that the team values security and will, therefore, allocate time for testing, learning, tooling, etc. There's no one stop shop security solution for any application. Security and best practices are always changing and the most important thing in security is showing up and staying informed. And trust no one. Don't trust any data or code, not even your own. Handle data in its respective context. Handle code as a liability. If only one small part of your application is insecure, all of it is insecure. Most attacks are related to side channels, performance and timings, buffer overflows, off-by-one errors or a combination thereof. In order to secure your code, you must think like an attacker. It is easier and safer to whitelist than blacklist. OWASP puts together a list of what they consider the most critical security risks in web applications and is updates every few years to account for trend changes. Don't forget about social engineering. Tell your support team to never give out passwords over phone. Build a password reset into site and get your support team to point users to that. Most data breaches are by employees - lock your systems down. Get your site pen tested. It's not a fundamental principle, but this book was a good overview of security subjects. Unfortunately, as I discovered when studying for my Security+ test, the book is not really designed for cramming. It looks like there's a 6th edition out now. Design and code everything with a 'secure by default' mindset - meaning that out of the box your code should be secure. Your code will, at some point, be found to be insecure. Don't take it personally, as if someone's called your baby ugly. Listen. Fix. Learn. 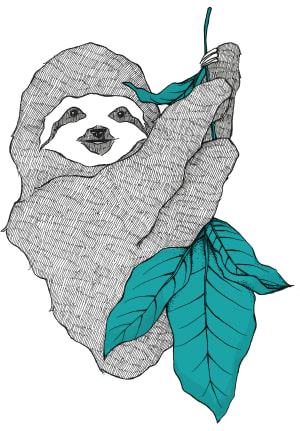 Have a shared understanding of threads to your application/product in your team. Adding to the list, Basics of web tokens. If you don’t need to store it, don’t. You can’t leak data don’t have. Use ssh keys to access your servers. Disable password login. Move ssh off of port 22. Don't assume its anyone else's responsibility! 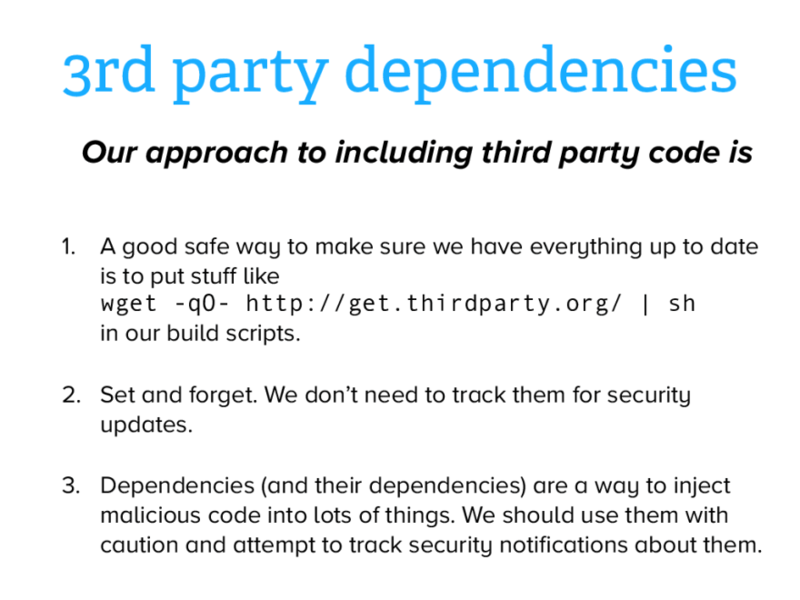 Security is everyone's responsibility even the people who don't write code. Designers can just as easily expose information about people with poorly thought out UX.